Home » News » New Record! 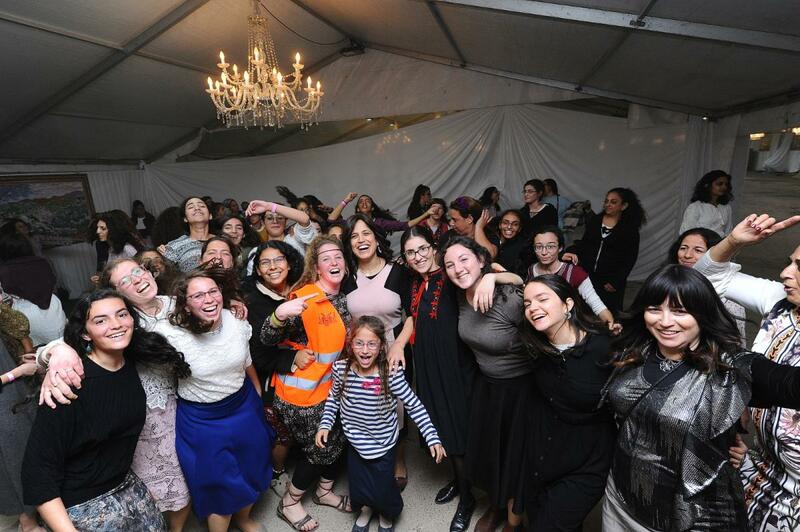 40,000 Visit Hebron for Shabbat Chayei Sarah! Over 40,000 people visited Hebron for Shabbat Parshat Chayei Sarah this weekend making it the biggest turnout of the 24-year-old event. The giant tent sponsored by Chabad of Hebron ranks as arguably the largest Shabbat kiddush in the world. The Jewish Community of Hebron offers its thank to the security forces who maintained order for the event and all the organizations and individuals who helped with logistics such as the Hebron Fund, Chabad of Hebron, the staff of the Cave of Machpela historical site, the Israel Defense Force, Israel Police, Egged bus company, Egged Taavura, the Kiryat Arba municipality, the Knesset Ministry of Religious Affairs and of course all the individuals who came to make this day so special. Photo credits: Night time photos were taken by non-Jewish IDF personnel. Other photos taken Friday afternoon.